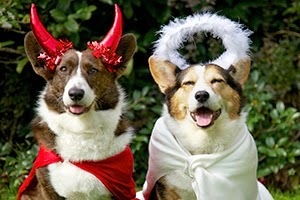 austindogandcat.com: Pets in Halloween costumes: are they cute but miserable? Pets in Halloween costumes: are they cute but miserable? Pets in Halloween Costumes: Pro or Con? Halloween, the spookiest, kookiest day of the year, is finally here! It’s time to bust out the glitter and fake blood, and dress up your pets in the cutest, cleverest costumes you can find.But wait—is trick-or-treat apparel really a good idea for your furry friends? The ASPCA suggests putting your pet in a costume only if you’re sure he will enjoy it. Some pets love the limelight: wearing a costume and posing for pictures is a blast! Others prefer to stick to their birthday suits for all occasions, and being dressed like a pumpkin for their pet parents’ amusement can cause unnecessary stress. Your pet’s Halloween garb should not constrict his movement or hearing, or impede his ability to breathe, bark or meow. Be sure to try on costumes in advance—and if your furry friend seems distressed, you’ll want to ditch the lion’s mane or superhero cape. IDs, please! Make sure your dog or cat has proper identification underneath that cute costume. 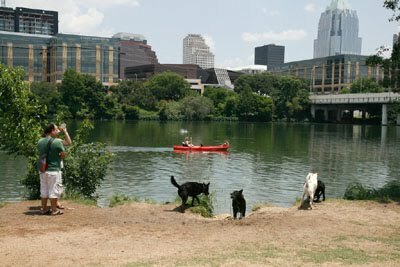 If for any reason your pet escapes and becomes lost during Halloween festivities, tags or a microchip can be lifesavers.